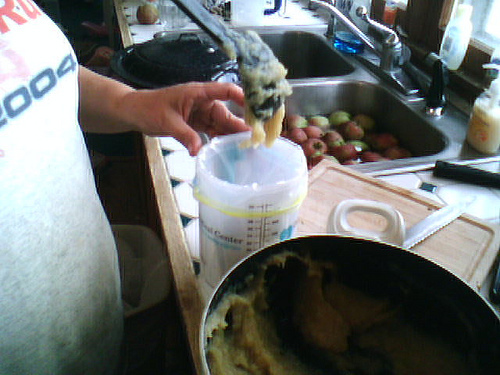 Anyone with access to fresh picked apples can make applesauce. Is Applesauce Healthy For You? Applesauces make a delicious healthy snack. For many people it is a comfort food, but one thing that makes this comfort food exceptional is that it is low in calories. In addition, applesauce is are a great source of natural fiber (both soluble and nonsoluble) and vitamin C.
If you can find apples have not been sprayed with chemicals. Apples can potentially expose you to pesticides, so by picking apples that were not sprayed or by buying the organic varieties will protect you from these chemicals. In addition, unsweetened applesauce is better for you than sweetened applesauce. By choosing a naturally sweet apple for making applesauce instead of a sour one in which you have to add sugar, you choose a healthier option. By eating an apple or a serving of applesauce several times during the week, you will help protect your health and maintain your weight maintenance plan.Both the pulp and skin contain numerous healthy flavonoids. Flavonoids in apples regulate blood pressure, reduce inflammation, lower heart disease risk, and reduce excessive fat production in liver cells. 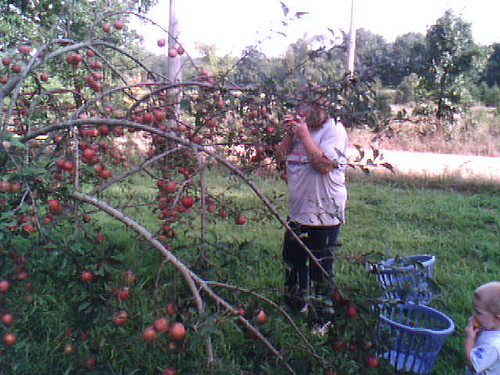 Finding apples suitable for making applesauce is not a problem where I live. I can go down almost any country road in my area and find a neglected apple tree full of apples that is simply begging to be picked. The apples don't even have to be good apples. Even crab apples and gnarled little knobby apples all can be used to make applesauce, especially with hand crank strainer like I have, but I am getting ahead of myself. The apples don't even have to be blemish free, either. It is easy enough to cut out bad spots from apples to use as sauce. Might even be able to find apples like that at the end of the day at the farmer's market. Perhaps you could even get those apples for free. If not, you can probably negotiate a good price. The apples used to make this batch of applesauce, I got from a friend for teaching her how to make apple sauce as well as for helping her make it for her family. It was win-win for both of us! 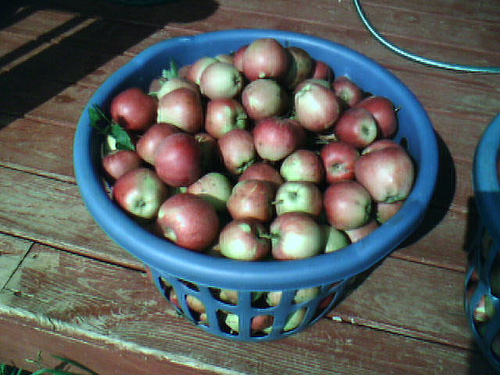 After I picked the apples, I washed the apples thoroughly. I found that by putting the apples in one of these plastic baskets, and washing them outside and then bringing them in and washing them again in the sink, I was able to remove any soiling on the apples. 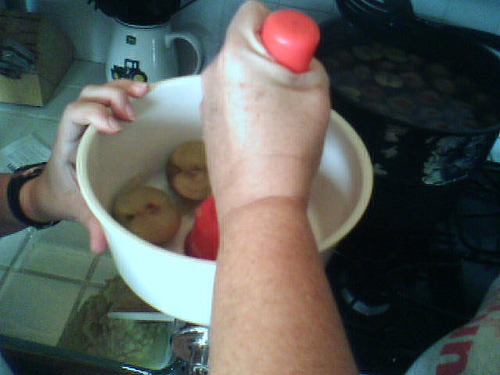 Once the apples were washed in the sink, I removed each apple fro the water and examined for blemishes. Any blemishes or insect damage I removed from the apples. 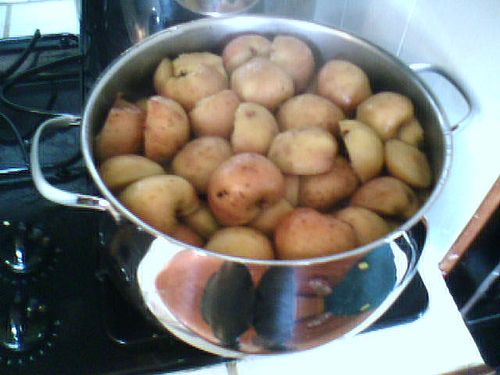 I then placed the apples into a stock pot. I didn't peel them. I just removed the bad parts of the apple. 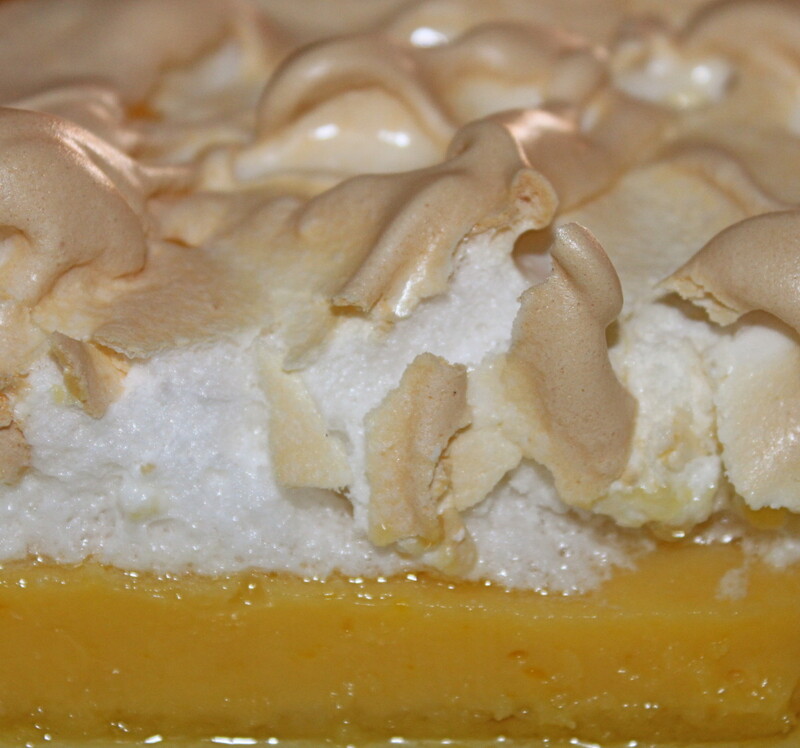 Once full, I covered the pan of apples with water and put on the stove on high heat. Once the apples began to boil, I cooked them on medium heat until the apples were soft. If I had not done it previously, I set up the strainer while the apples are cooling. (Each strainer may be set up differently, so you will need to follow the assembly directions that come with the strainer.) I put a square cake pan in the catchment area to catch the applesauce and another container such as a compost bucket at the end to capture the wastes. When I am done, these wastes either go to the chickens or to the compost pile. It all gets recycled somehow. 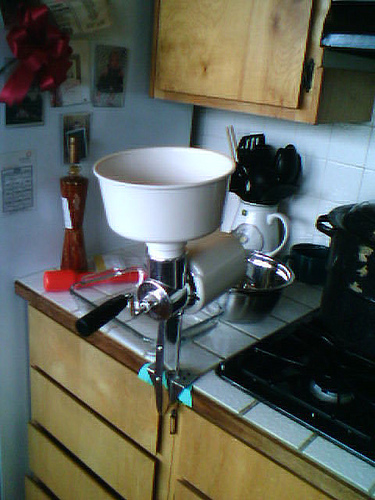 Once the apples are cooled, I begin putting the apples into the hopper while simultaneously turning the handle.The applesauce will come out the strainer while the crushed skins and cores are removed to the end of the grinder. Nothing. Some Apples are naturally sweet and you won't have to add any sweetening. I believe this is the best way. 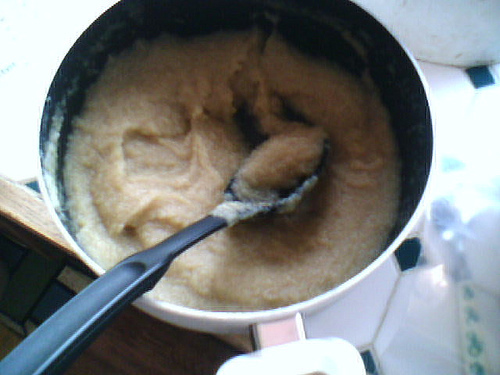 It is the ONLY way to make applesauce for baby food. While applesauce is still hot, add honey to taste. DO NOT add honey to applesauce intended to be fed to anyone under 2 years of age. 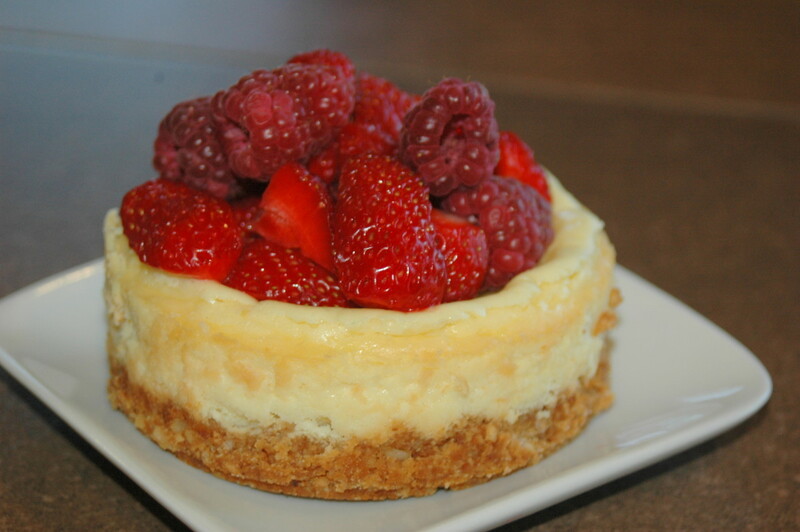 Sweeten with Stevia but no artificial sweeteners, please. Using Freezer Bags (not just storage bags or the applesauce can freezer burn), spoon applesauce into bags. Squeeze any air from the bag, mark bags with a permanent marker to identify the applesauce, and place the applesauce into the freezer. Apple sauce made the easy way. I remove applesauce from the freezer at least eight hours in advance of serving and place in the refrigerator to thaw for cold applesauce. 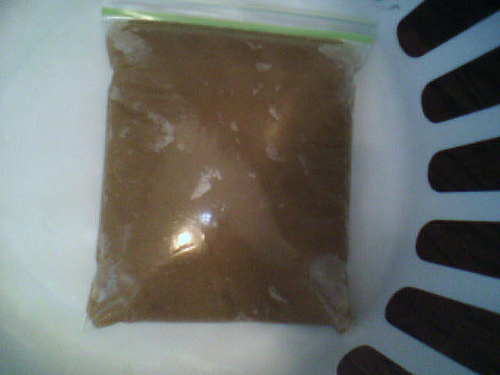 To speed thawing, I place bag of applesauce into warm or hot water and change water when water cools. if you prefer, heat applesauce to serve warmed, I simply take frozen or thawed applesauce and place in a saucepan and heat applesauce to the desired temperature. If not added before, cinnamon can be added when applesauce is served. 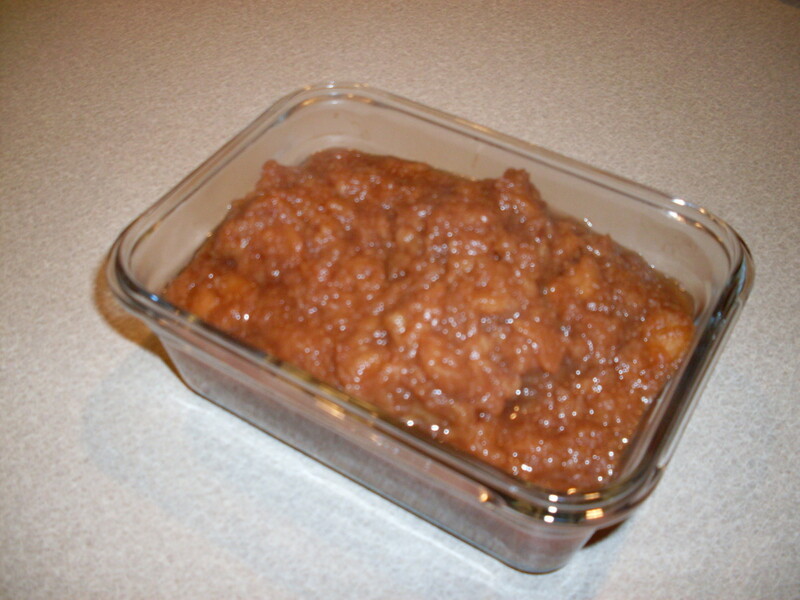 Applesauce can be used as a substitute for jams or jellies. It tastes great on pancakes as a replacement for syrup. 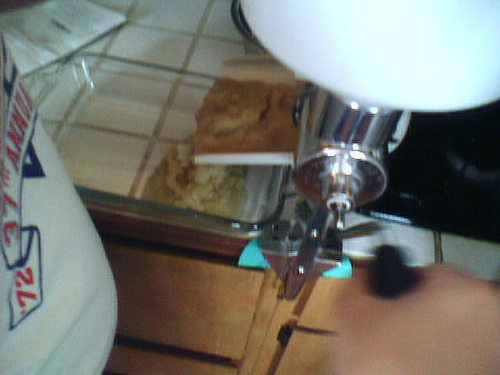 Is also good for making applesauce cake, applesauce bread, or applesauce cookies. Thank you for your comment ChitrangadaSharan! 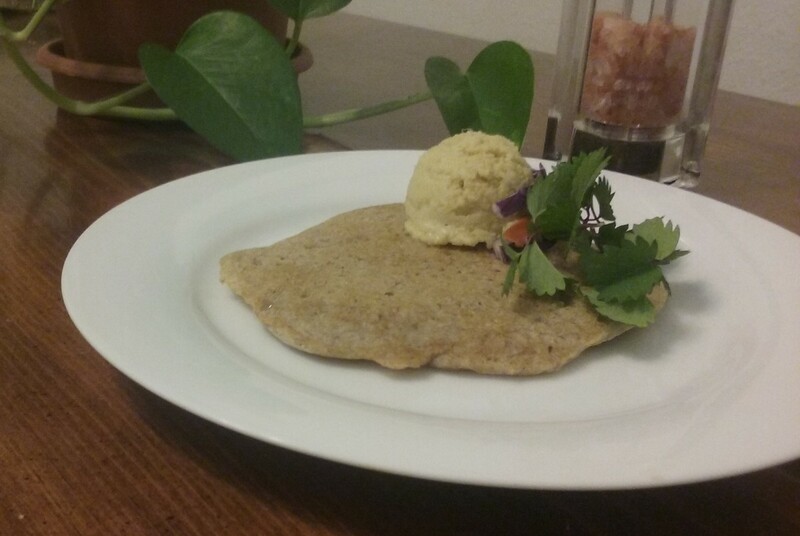 I had fun not only making the applesauce, but from putting the article together as well. Very nicely presented hub with detailed instructions and helpful pictures! This sounds interesting and I am definitely going to try it. Voted up and pinned! Thanks! Thank you for your comments! There are many different ways to do things. It's always good to know our options. This is a wonderfully old-fashioned way of making applesauce. While I prefer my microwave method, I see your method allows you to use artificial sweetener which my method does not. Thanks for sharing. Someonewhoknows, I have seen this thing that has like a basket claw like thing at the end of a piece of pvc. The claw dislodges the apple and then the apple rolls down the inside of the pvc and into a basket at the end. Too bad you don't have something like that. I live in an urban city and you can sometimes find a good deal on a fairly large carton of apples that are good enough to can applesauce as well as peel and eat fresh or even make apple pie at the local farmers market. You usually have to be lucky enough to be there at the right time though as many people are also looking for them as well. There are a few places in and around neighborhoods that have private apple and a few pair trees and they don't usually have very good fruit on them.This year seems different though! Most of them appear to have very good fruit on them. But, I don't see anyone willing to pick them off the trees and I'm afraid they will go to waste. Even the crab apples are in abundance this year.I've even seen one apple tree along the fence in the parking lot of a bank.It's been there for years and the apples kept falling onto the parking lot ,but the tree is still there. If,I were younger and had the proper equipment ladder, baskets etc ....I wouldn't mind picking some myself.I hate to see them go to waste when so many people could use them in these hard times to save money on their food bill. mbuggieh, you're right, seconds are great for applesauce and apple pie filling. billybuc, why wait? You live in Washington state! My husband is a truck driver and used to get apples from up there. Surely there are "seconds" as buggieh calls them, that you can get to begin living the life now! You are living the lifestyle we want to live. We'll get there but it's going to be another two year. Great information that I will use when we get our own press and have a few mature trees. Thanks! Thanks, RTalloni for your evaluation of my hub. It is much appreciated! Apple season is a wonderful time of year! :) Thanks for this well-rounded look at making applesauce so we can enjoy the benefits of the season throughout the winter months. Nice appliance to have on hand, btw, and the tip on thawing is helpful info to add to your guide here.